With a growing history that has seen it organise some of the biggest High Roller tournaments in Macau in recent years, Macau Billionaire Poker now has its own poker room. With the soft opening having taken place on April 1st, full operations will begin on April 8th at Babylon Casino, Fisherman’s Wharf. This new poker room in Macau will be in addition to the office that the company already has there, and will offer cash games between stakes of HK$20/HK$50 and HK$10,000/HK$20,000. There will be a special VIP table for members only, which may allow for special rules to be put in place. All games at this point will be Holdem, but dealers are being trained to accommodate PLO games too. There will be 5 cash game tables when the room opens for business. It should be pointed out that alongside everything offered within the poker room, there are numerous leisure activities, shops, restaurants and other sources of entertainment in the immediate area, which are surrounded by the harbour. The Holdem cash game options should certainly prove popular with high stakes cash game players, but the company is also continuing to work on tournament offerings, and is making arrangements for a 7 day tournament. This should take place in July if talks go smoothly, and will undoubtedly be a high buy in event which will attract star names. 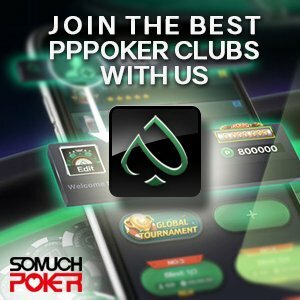 The ultimate long term goal is to become a recognisable and popular high stakes poker room in Asia, along with helping to promote the game in China. This announcement represents an important step in that direction.